Asda has paved the way as the first UK supermarket to approach The Vegan Society with intention to improve the labelling of its vegan products – including vodka. The giant has started putting the Vegan Trademark on 16 different items, some of which have already reached the supermarket shelves, causing positive social media reactions. More products will be released in the next few months. Asda joins other high profile companies such as Alpro, Lush, Original Source and Ikea in taking the Trademark, which can now be seen on around 24,000 products spanning some 800 companies. George Gill, Chief Executive of The Vegan Society, said: “We are very pleased that yet another major retailer has listened to its customers and decided to make the shopping experience easier for vegans and those shopping on their behalf. 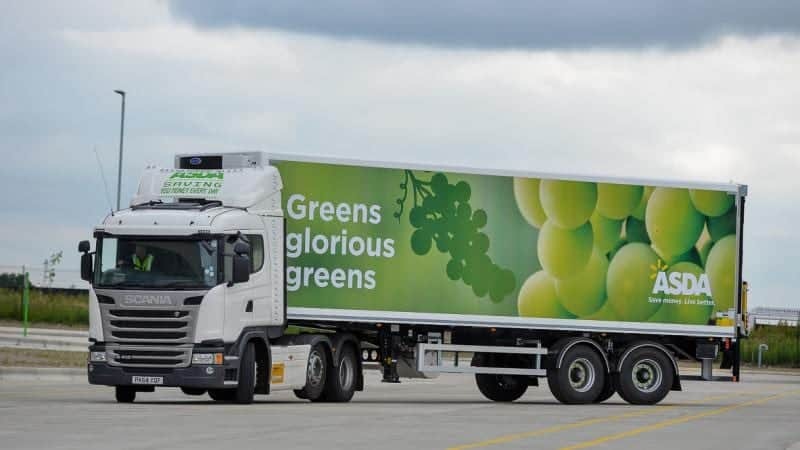 “Asda’s move reflects the nation’s changing eating habits towards healthier and more compassionate choices, setting a great example for other supermarkets, which has been reflected in the positive comments on social media in reaction to this news. Asda already had a wide range of own-brand free-from snacks that are suitable for vegans, as well as refrigerated and frozen goods, including a hidden gem in the form of a vegan-friendly lemon cheesecake. While Asda is the first supermarket to use the Vegan Trademark, Sainsbury’s and The Co-op label the majority of their own-brand vegan products but the Vegan Trademark gives extra authenticity and assurance to vegan customers. Will other supermarkets follow suit and release more products labelled with the Vegan Trademark? We hope so!